“And now, Israel, what does the Lord your God require of you, but to fear the Lord your God, to walk in all his ways, to love him, to serve the Lord your God with all your heart and with all your soul, and to keep the commandments and statutes of the Lord, which I am commanding you today for your good?” (Deut. 10:12-13). I’ve read Deuteronomy several times, and I have always overlooked these 3 words. God’s commands are ultimately for our benefit, not our demise! Sin brings forth death (James 1:15), so that gives us all the more incentive to run from it. On the other hand, God’s commands often make our lives better. For example, showing hospitality can lead to deeper relationships with others. That sounds anything but easy to me! If obeying God brings us difficulty in this life, how can it be for our good? Let me offer two reasons. Let’s say you live to be 80-years-old. In the grand scheme of eternity, your life is merely a vapor in the wind. Here today, gone tomorrow. When things are put into this perspective, living to make your life on earth better doesn’t seem as important. Obeying God will cost us something in this life. Therefore the phrase “for our good” doesn’t always mean that our life on earth will get better when we obey God. This why we need to have an eternal perspective when keeping God’s commands. Taking up your cross may bring you pain in this life, but it will also bring you eternal reward in the next. 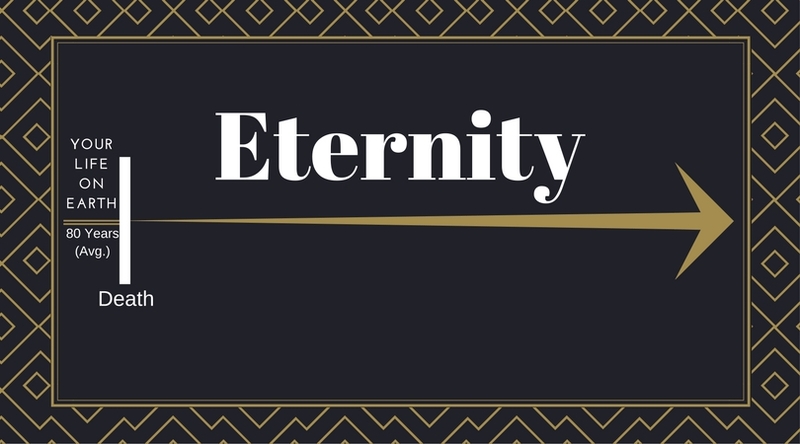 Whatever betters our lives in eternity is more important than what betters our lives on earth. When things get hard, remember that “this light and momentary affliction is preparing us for an eternal weight of glory beyond all comparison” (2 Cor. 4:17). Knowing God is the Greatest Good. This becomes more real to me as I get older. Two of my family members passed away in the last two months. During this time, God has been my rock and my source of comfort. Knowing Him has kept me from falling apart. Knowing God is far better than anything this life has to offer. “Whoever has my commandments and keeps them, he it is who loves me. And he who loves me will be loved by my Father, and I will love him and manifest myself to him…and we will come to him and make our home with him” (John 14:21,23). As we keep God’s commands, we grow in our love for God and experience more of His love for us. If you want to know God on a deeper level, if you want to experience Him more in this life, then obey His commands. There is no getting around the difficulty of following Christ in this hostile world. Thankfully, we don’t do it alone. When we obey, God makes His home in us. Great post, Carey. I was also struck by the thought that if a product is damaged, it is the right thing to repair it, even if it requires much time an great difficulty. We are that damaged product. Thanks! I really like that analogy. That’s a great way of looking at it! The devil makes God’s commands seem unreasonable (Did God really say….? ), so it is important to remember that God’s commands are for our good. Excellent post! J. So true. It has been that way since the beginning, hasn’t it? Thanks for commenting! Thanks for the encouragement brother! I have to remind myself of this often!